This is what should have happened directly after and as to 9/11! Terrorism is a criminal offense, international criminal terrorism is an international crime. We had the backing of most of the World then, meaning working with them and their resources added to ours. There should never have been Iraq and all that went with that as well as the added recruiting tools in Afghanistan. Once the Taliban were driven from there we should have worked to reign in the ghost al Qaeda while helping to rebuild Afghanistan after decades of war destruction, as we promised. But we walked away once again, like we did after the Afghan/Soviet debacle, rest is the present history as we created the next generations of bin Ladens, already out there!! A second look on the 9/11 Pentagon Attacks. Governer Jesse Ventura investigated what happened at the Pentagon on 9/11. Three years before: Mumbai Attack!! Whoops looks like another point of total incompetence, or more likely a want that it was true so their wars and hate rhetoric could continue, by the cheney and his puppet’s administration!! All the better for them if Americans were killed, and they were!! Destroying the National security more, reaping the war blood wealth for themselves and their tight knit group of extreme hawks! Many may want to catch this discussion, for a number of reasons, but one being it shows as others have that this country Needs an Inquiry into what went on during the previous administration. I want Indictments, but the country Has To Clear This Up one way or another as it was All Done In Our Names!! They talk about a number of issues but Wilkerson tears into bush, cheney, condi, rumsfeld and others. Please post this on the Front Page, as this announcement could create a critical “tipping point” in public opinion. 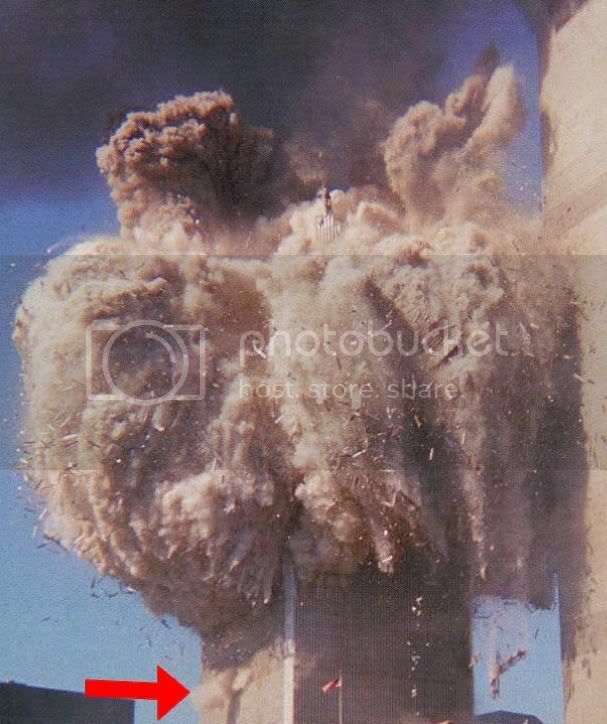 Sen. Gravel, who said in a press release that “critically important evidence has come forward after the original government building reports were completed.” Gravel has been concerned with the events of September 11, 2001, for some time now. He has called for an independent investigation into 9/11. San Francisco Architect Richard Gage said the way the towers collapsed was consistent with a controlled demolition, not a chaotic structural collapse. On its Web site, the architects’ and engineers’ group lists facts that suggest explosives were used to take down the towers. — High-rise buildings with much larger, hotter, and longer lasting fires have never “collapsed”. viagra generico 50 mg online prezzo piu basso Clear Evidence Of Explosions. WASHINGTON, Sept. 7 PRNewswire-USNewswire — On Thursday September 9, 2010, Mike Gravel and Richard Gage will host a central press conference at the National Press Club in Washington, DC, presenting hard evidence that all three WTC skyscrapers on September 11, 2001, in NYC were destroyed by explosive controlled demolition. Gage will release a media-friendly summary of his organization’s findings, which are based on forensic evidence as well as video and eyewitness testimony that were omitted from official reports. He will show evidence that the WTC Twin Towers were not destroyed by jet plane impacts or fires, but by pre-set explosives and incendiaries. The non-profit organization, Architects & Engineers for 9/11 Truth, will also call for a grand jury investigation of government report lead engineers Shyam Sunder and John Gross of the National Institute of Standards and Technology. “They were in a position to know the evidence we have been presenting,” says Gage. The Chilcot Inquiry restarts today, The second round of hearings will run from 29 June to 30 July 2010. Live streamed testimony once again when they do. No one knows if they’ll be releasing all or part of the transcripts etc. as to their visit here and talking to some of the previous administrations insiders, all lower level. Apparently they’re still talking to the Americans most close to the needs of the British Inquiry into Iraq. 29 June 2010 The head of Britain’s inquiry into the Iraq war says his panel has held a private meeting with U.S. General David Petraeus. Britain’s Iraq War Inquiry: In The U.S.! The bush apparently won’t be questioned, probably couldn’t find cheney, in his undisclosed location, to sit down next to him while being so. Also may not question other top administration figures. We’ll see what this produces, every little tidbit, like many that came out early in the Inquiry, can only help and cause even more questions hopefully finally leading up to this country facing it’s own accountabilities. But breath is not being held nor great expectations of my seeing the guilt cleansed! Why is it in all these speeches the press seems to think are so important, like those of the shrill voiced hockey puck mom, who’s son served or is still serving, and anyone attached to this so called ‘tea party’, as they rail against taxes and more, do we not hear mention of the funding nor sacrifice as to those serving or have served! Seems the only time the military soldier and veterans of, are mentioned is when a meme needs to be added as flag is wrapped around their ‘patriotism?’! Many are the same that never mention defense budgets, except wanting them to grow even more, nor gave any mention to military and veterans care as they beat the drums of war louder and louder, and still do! An Opening to Indictments and Accountability? Turning the innocent, not only those who were grabbed and held for years but their countrymen and women, into potential foreign criminal terrorist, not winning hearts and minds and not being the law abiding country we not only claim but attack others for doing same! Not al Qaeda, Collapse of the bush Administration!!! Looks like much more of the cheney/bush years are continuing to collapse, and All Done In Our Names. This may explain the widespread push, especially from republicans? in Congress, they’re figureheads around the Country and those connected to that administration but not in Government have so forcefully been pushing the fox nation types to rail against closing Gitmo and having No Trials of so called terrorist inside this Country and in our Courts. Courts of a supposedly Lawful Nation! Truthout has updated an earlier report of what’s coming down.